He was just a guy who loved golf and wanted to get better. While constantly thinking about and working on his game, investing a lot of time and a lot of money on instruction and equipment, and talking with others about the game, he happened to make a good friend out of a guy who knew his stuff. At first reading, this sounds like you or any number of your golf buddies right? I’ll bet you didn’t know you had so much in common with Bob Parsons, billionaire entrepreneur and founder of the new golf company PXG. By now you have probably heard the buzz about PXG and the fact that after just a short time in business, they have already managed to put their equipment into the bags of some of golf’s top players on the professional tours. Or perhaps you have heard about a new company that has the audacity to charge double the price of other manufactures in a market that is not what it once was? Well you have heard correctly. The answer to these questions begins with requests made by Bob Parsons to Brad Schweigert and Mike Nicolette. Like most golfers, Bob wanted to have a club that looked and felt like a blade, but with the distance and forgiveness of a cavity back. A golf club like that just didn’t exist. And, if you are a passionate golfer, a fearless innovator, and have access to boundary breaking resources, and slightly eccentric, you do the only logical thing, you create it yourself. One of the first tasks Bob asked of Brad and Mike was to read “The Innovators Dilemma,”written by Harvard Business guru Clayton Christensen. Its principle # 3 states “markets that don’t exist, can’t be analyzed.” From the beginning, common industry financial boundaries were removed. The goal was to make the best iron ever, sparing no expense in development, materials, and processes. After all, Bob is already a billionaire, so money was not the motivator. Up front Bob placed a couple of development boundaries in which there would be no compromise. Distance gains could not be a result of added shaft length or strengthening lofts. Improvements had to be a result of design, materials, and process innovation. And so began the seemingly impossible task of creating what is now PXG iron model 0311 and 0311T. After brainstorming different ideas of how to create the look and performance characteristics needed, the team decided a hollow-club head design was the best way to accomplish the goal. However, the biggest drawback with hollow club design was the loud and hard sound created at impact and therefore the lack of feel produced. Realizing there would need to be a substance injected to improve sound and feel, and after testing everything from foam to rat glue, Thermoplastic Elastomer or TPE was the winner. Not only was TPE a huge success in creating the desired sound and feel, an unexpected byproduct was its reinforcing power. Adding structural stability to PXG’s ultra-thin maraging steel face, PXG irons have an extremely high MOI for a club their size. While use of TPE aided the ability to redistribute weight to optimize center of gravity, S25C soft carbon steel is used to forge the body of the iron in which a significant amount of mass is removed from the internal cavity via a CNC (computer numerical controlled) milling process. PXG then added mass back in using extreme perimeter weighting moving the CG low and toward the back of the club for better launch conditions. Thus the looks and feel of a blade with the performance and forgiveness of a game improvement iron. While PXG irons, hybrids, and wedges are the real deal, not all of the PXG product line-up is able to claim the same level of initial success. The PXG 0341 fairway woods are good, but not industry changing, and their 0811 driver is not going to give you the same easy adjustability of the current leading drivers on the market. 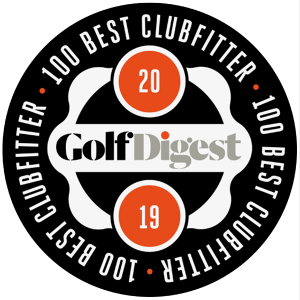 It been our fitting experience that ball speeds and club optimization can be achieved with every major manufacturer, however, none is absolutely the best in every category, especially given the level of technology existing in all modern club design. Like principle #3 states in “The Innovators Dilemma,” a “Golfers Dilemma” principle #1 should state “clubs that have never been hit, can’t be compared.” You are hereby forewarned, if you hit them, there is a high probably you will want them. So if that means you need to pick up a second job, start donating plasma on a daily basis, or take a second mortgage, be prepared to get what you pay for, a golf club made unlike any other with great looks, feel, forgiveness, and distance. If you want to put PXG to the test and are wondering where and how to do it, The Club Fix is one of a select few companies authorized to represent PXG in Texas. Fitting sessions may be scheduled at multiple locations through our website www.theclubfixtexas.com/schedule. Book the location and time that works best, and our mobile service will take the best care of you. Also check out PXG Golf for more info about their golf clubs.